Since 1978, International Hot Tub Company has been providing the Finest Products and service available in the Hot Tub, Spa, Fireplace and Sauna Industries. 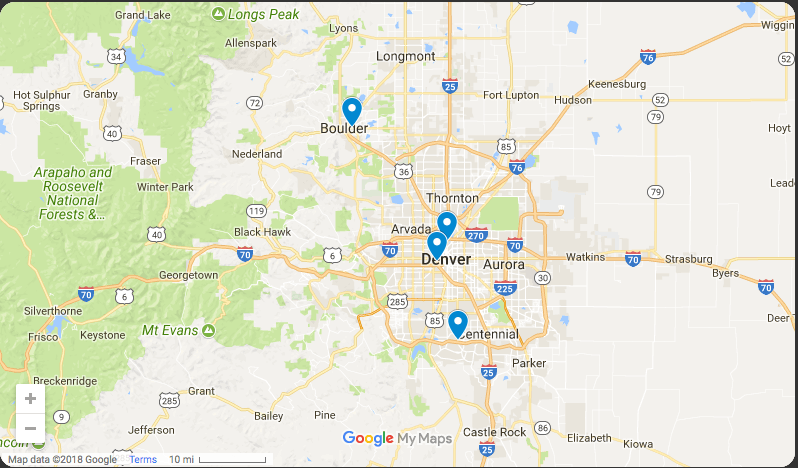 From four front range locations in Colorado, (Denver, Boulder, I-25 at 8th Ave. in the big blue building, and Highlands Ranch), IHT is able to directly service the needs of all Rocky Mountain residents. As one of Watkins Manufacturing’s oldest and largest dealers in the world, IHT has helped establish Hot Spring, and Caldera Spas as the premier portable spa and hot tub brands available today. Military and Senior Discounts available upon request. If you are not completely satisfied with a product purchased from IHT, you can exchange it. You pay the difference in the price of the product, if any (or we will refund the difference if the new products costs less). “Just-Call-Us Warranty” coverage –Only IHT personnel service every Watkins Spas that we sell. “On-Site Service” for all service throughout the Rocky Mountain Area. Professional factory-trained service coordinators and technicians. Large inventory of in-stock parts for every Watkins hot tub. Free water testing — just bring in a sample. Free on-site pre-delivery inspection available. Free water care orientation seminar or supply of water care products with every hot tub. Specialists in crane and difficult deliveries. Extensive referrals available for quality electricians, contractors and decking specialists. Top service and delivery throughout the Rocky Mountain Region by IHT Employees. CLICK HERE TO SCHEDULE A FREE TEST SOAK! Get the full picture before you buy. Quiet, relaxed, private time to experience the IHT difference. Free test soak — Try before you buy. 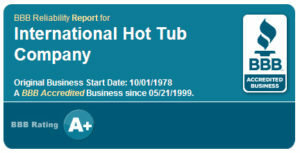 The Rocky Mountain’s oldest hot tub company. Over 1,000,000 satisfied customers …. ask us for references! We’re hot tub experts carrying the same brands since we opened our doors. Unique Referral Rewards Program : When you send in a friend who purchases a spa from us, you’ll receive a $100 gift certificate. A large portion of our business comes through referrals from satisfied customers. IHT has been named the Hot Spring Spa Territory Dealer of the year eight times. Top 5 selling Hot Spring spa dealer in the world since 1990! Hot Spring Spa Territory Dealer the Year – 1993, 1998, 1999, 2001, 2009, 2010, 2011, 2013. Watkins Multiple Store Productivity Dealer of the Year 1994, 2002, 2012. Member of the Denver and Boulder Chambers of Commerce. Our sales approach is informative and low pressure. Sales associates are continually trained to master new product developments. All warranties and Guarantees are in writing. We deliver what we promise! Call us and we’ll provide references. IHT has been named the Hot Spring Spa Territory Dealer of the year eight times, as well as the two-time recipient of the prestigious Multiple Store Productivity Award. Of more than 500 dealers worldwide, IHT has, for years, consistently been in the top five. Our volume buying power as well as our knowledgeable and well trained staff assures you, the buyer, of quality products, and great service. We have many hot tub models in stock. Many of our hot tubs are custom ordered for you with the exact model, color and configuration to meet you lifestyle. All delivery and service of our hot tubs is performed exclusively by IHT personnel. Another assurance of quality control. Our service and parts department is second to none. We stock virtually all parts for every Hot Spring, and Caldera Spa ever manufactured. Our service technicians are factory trained and in house. All spas sold by IHT carry our 100% Satisfaction Guarantee. If your any reason, you want to return or exchange your spa for another model, we’ll take care of it. IHT also carries quality used & certified pre-owned hot tubs, Gazebos, Kozy Heat, Napoleon and Vermont Castings Fireplaces, Stoves, and Inserts, Weber and Big Green Egg BBQ Grills, Covers, Spa Chemicals, Filter Elements, Parts and Accessories. We also create custom saunas to your specifications. Same day shipping for chemical and filter orders placed by 10am MST is assured. We offer free freight on qualifying orders. You can now apply for financing with Wells Fargo online. Click the Wells Fargo button on the financing page and fill out the application. You will be notified and IHT will be notified of the results. All applications go through the Denver office, but you may purchase through any local store. Financing available with approved credit. Must meet all requirements.